I had the awesome opportunity to attend the grand opening of a local Kiehl's store recently here in Orlando with some fellow Central Florida Beauty Bloggers! I'm very excited about their opening, and the store is amazing. 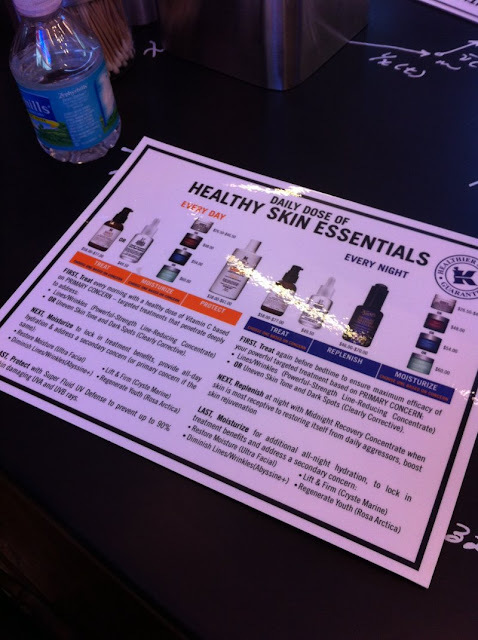 Kiehl's has a lot to be proud of with this store. I must be honest here. I have always found the beauty world outside of nail polish a bit intimidating. There are so many products, and especially on the higher end scale you can start to get a little overwhelmed. I was first introduced to Kiehl's through Birchbox in July 2011. I received a sample of their Ultra Facial Oil Free Lotion. I instantly fell in love with this lotion, it was moisturizing, and gave my skin that balance it needed. 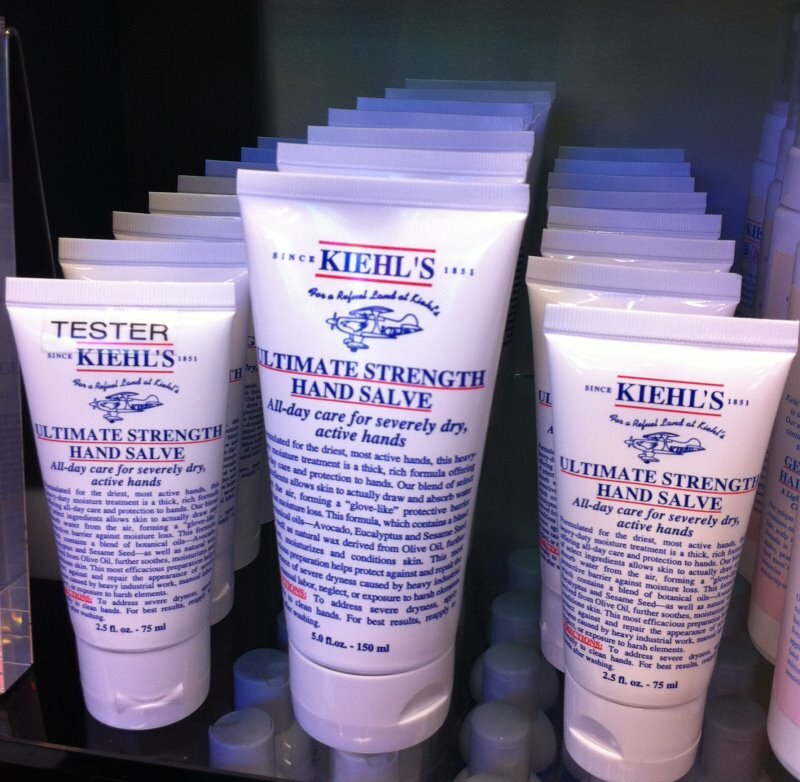 This discovery compelled me to look more into Kiehl's. What I love about them is while they are a higher end product, they are very approachable--from their packaging to their representatives I find it Kiehl's to be a very friendly, easy going, and informative brand. They're not stuffy or frou-frou, and I really appreciate that from a higher end brand. They've been in the business since 1851, and their professionalism truly shows. Needless to say, I very much enjoyed my experience at their opening, and I'm very impressed with all of the products they to offer. Chris Salgardo, President of Kiehl's was also here for the event. He welcomed and spoke to customers and the bloggers there. This was a nice treat! This is a display of their Limited Edition Creme de Corps (body butter) with packaging design done by the painted Kenny Sharf. The profits from these products will help support RxArt Children's Charity. 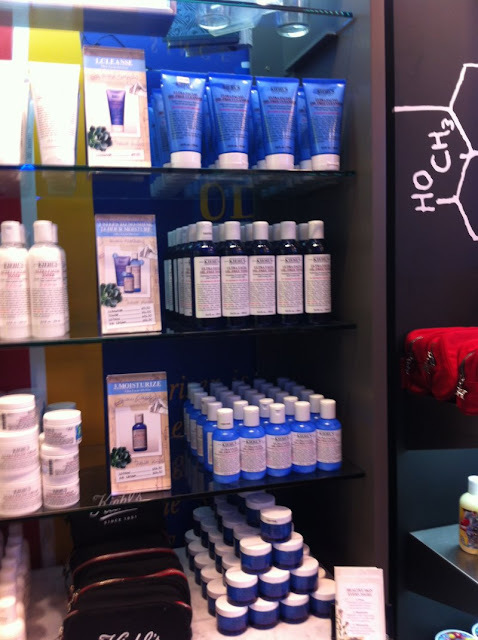 These blue bottled products are part of the Ultra Facial Oil Free Line. I would definitely recommend these products to anyone else out there who has oily skin. What I liked about this store is they had a lot of information material scattered around their different products. There were some laminated that were meant to stay in the store, but they also had materials you could take home. I found this so helpful in determining what products best suit you, and what type of skin care routine you could follow. You could definitely always ask people in the store, but supplemental material is great too! 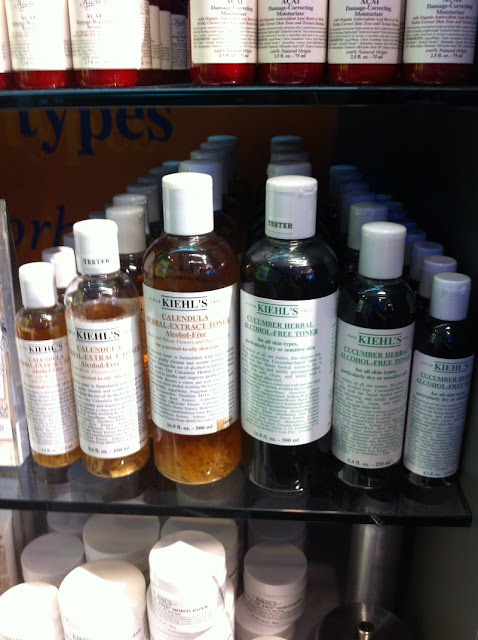 The other neat thing about Kiehl's is while it is higher end brand, I do not find their price range over the top. I would say general skin care items (cleansers, moisturizers, toners, and etc) were around the $15-$50 mark, while the serums and anti-aging products were $50-$80. This also depended on size too. The size options where something else I liked about the Kiehl's store. I noticed many of their products had smaller size options at a lower price. This is a great feature, especially when you're on a budget. Being a nail blogger, the first thing I go to look for when a brand does not offer nail polish, is what type of product do they offer for your hands, that's when I spotted this Ultimate Strength Hand Salve. This says it is for severely dry active hands. I wouldn't say I have severely dry hands, but as a nail polish blogger who swatches polishes frequently it can do a number on my hands! I picked up the smaller bottle for $15, and started using it immediately every night before bed. I use it on my hands, and moisturize my cuticles with it. I just use a tiny pea-sized amount, and I find that to be sufficient. I've been using it for 15 days now, and I am happy to report it is great! The salve is very moisturizing, and absorbs nicely into the skin. What I've noticed is before using this salve, during the day I would be reaching for hand lotion because my hands feel dry. When I started using this I haven't reached for lotion at all during the day. This really locks in moisture, and I haven't felt a need to moisturize until my nightly routine! If you're looking for a great hand treatment, I'd would definitely recommend this! 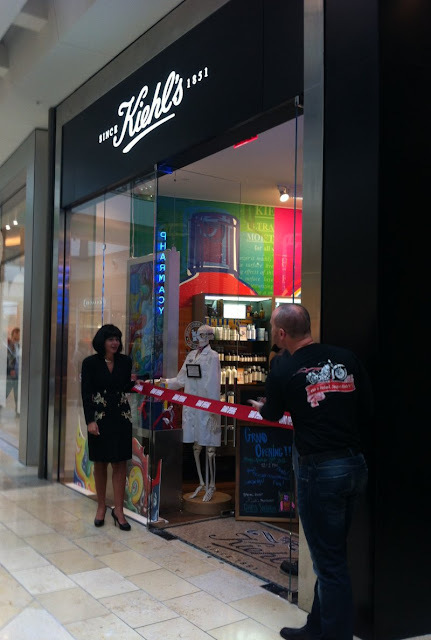 Overall, I really enjoyed the grand opening at Kiehl's. I was very impressed with their staff and their products. 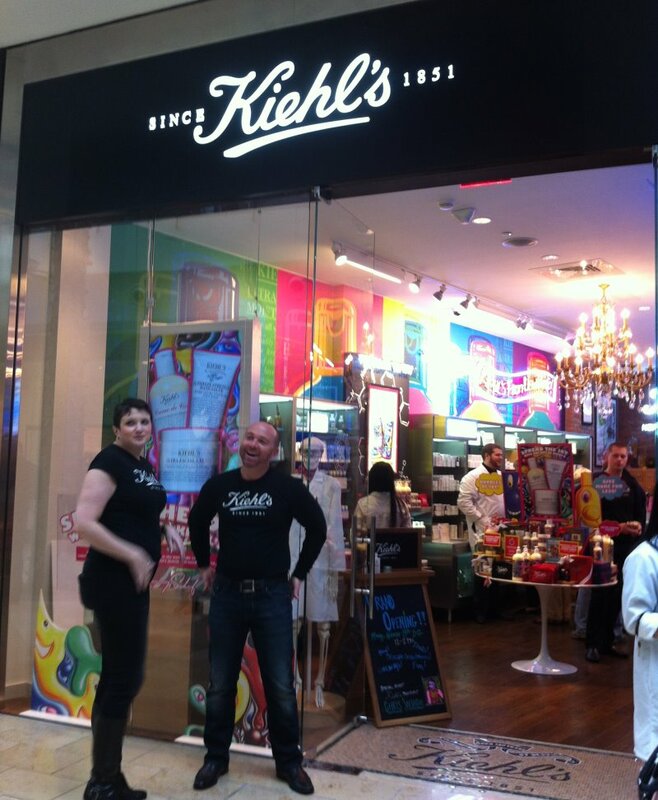 I want to thank everyone at Kiehl's for welcoming the Central Florida Beauty Bloggers to their store! This new store is located at The Mall at Millenia in Orlando. 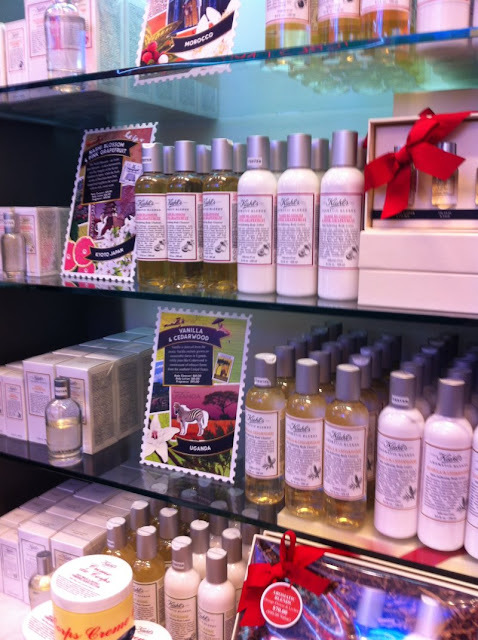 If you don't have a store near you, they are also online, and can be found at some Neiman Marcus, Dillards, Saks Fifth Avenue, and Nordstroms department stores. Wow, Steph! This is so cool! The store looks like a bright, fun place to shop. Like you, I woudl totally make a beeline to the hand products! It sounds like you found a winner. Great post, thanks for sharing!